Basic Water Rescue provides those who participate in aquatic activities or work around water with the knowledge and skills necessary to prevent, recognize and respond to aquatic emergencies. Ideal course for public safety personnel, camp personnel and day trip leaders, daycare workers, school teachers, aquatic fitness instructors, aquatic therapists, parents, foster care and adoptive parents, and the general public. Participants must be comfortable in chest-deep water. 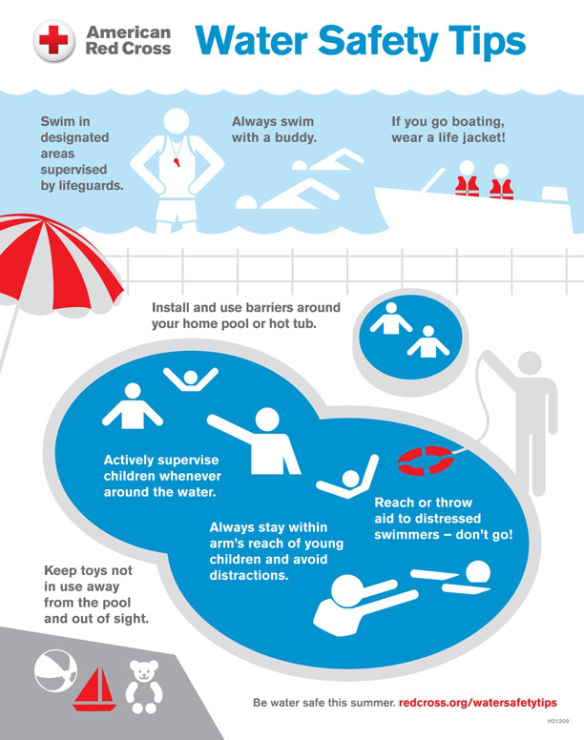 Learn water safety guidelines for activities in, on or around the water. Define an emergency action plan and describe how to develop an emergency action plan. Explain how to perform an ice self-rescue and how to help someone who has fallen through the ice. Demonstrate two ways to stabilize a victim’s head, neck and spine in the water. Correctly answer at least 80 percent of the questions in the final written exam (20 out of 25 questions). Private classes are available by appointment for groups of 2 or more. Call 949-420-0804 for details.